Want a homely atmosphere with the touch of an authentic Rodriguan hospitality? Then, La Case Creole guesthouse near Port Mathurin is the place to be. I really loved my stay there! While planning my last trip to Rodrigues Island, I expected something very different from myself. Instead of checking-in an Auberge or hotel as I did on my preceding visits, I pondered why not go for a less formal accommodation. The sister island is a like a second home to me. I’ve been there on many occasions and the local folks’ way of life is, in some way, part of my being. Wishing my experience of Rodrigues to be a more coherent whole, my feelings were prompting for some homely and easy-going stuffs. Besides I would be traveling with a group of close friends and family members who were going there for the first time and with an electrified mindset to have a blast. Deep down within me I also know each one has his own fads and habits. As I wanted everyone to be cool and relaxed, La Case Creole at Anse Aux Anglais, was the missing puzzle that fit in the plan. For more information about La Case Creole or booking, send us a private message on our Facebook page. Click here >> , or use the Contact Form. My first meeting with Joanne, the owner of the place and who is now a very good friend of mine, was very cordial. She welcomed us in a very courteous manner. A quick tour around, Joanne showed us our rooms, the bathrooms and the kitchenette amenities. While briefing us on the breakfast and meals arrangements, we could feel her good nature and extreme caring for her guests. Through her demeanor and enthusiasm, one could sense the Rodrigues cuisine meals she prepares to be succulent (and indeed they were yummy!). At the guesthouse I truly felt myself at home. At times I would go downstairs and chat with Joanne’s father and other family members; or check at the nearby shops to buy some snacks and drinks to chill-out our evenings on the balcony. The beach is a short walking distance away. 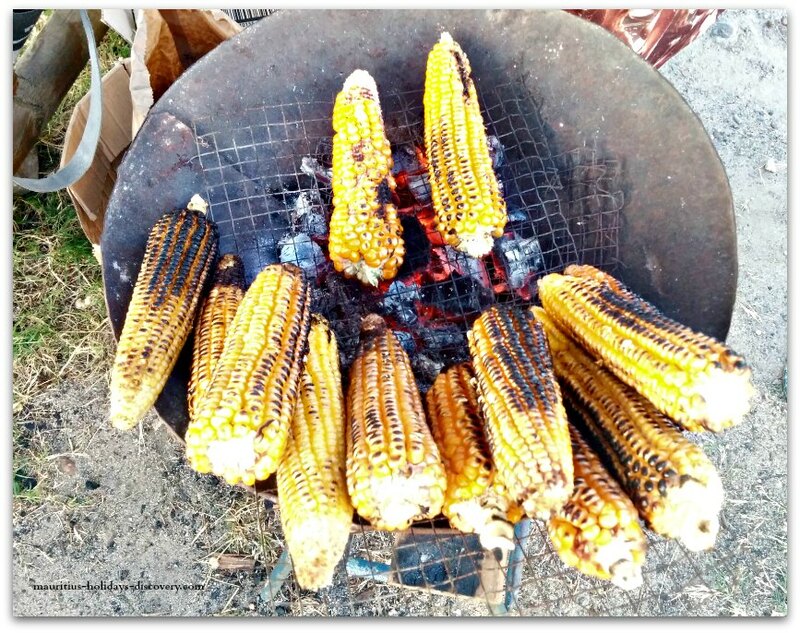 If you are lucky enough to meet local folks grilling corn near the seaside, don't hesitate; buy some.Just spread a little butter on the hot maize and the taste is simply awesome. "Wherever you go becomes a part of you somehow."